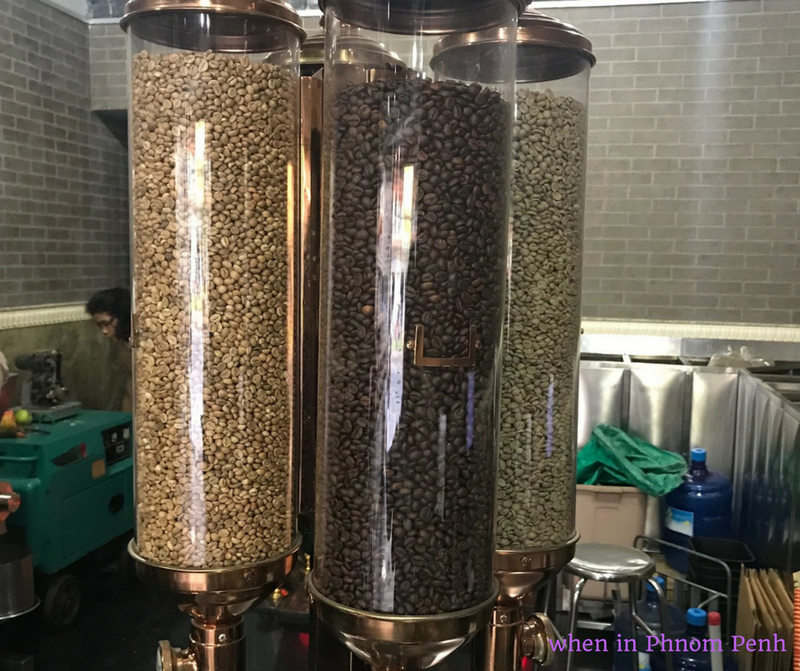 Coffee is probably one of the oldest drinks in the world, and while Cambodians have started to consume more and more coffee, many still look for a good supplier or seller in town. There’s also so much news about fake coffee out there that scares a lot of Cambodian coffee drinkers into buying coffee with good quality, indeed. 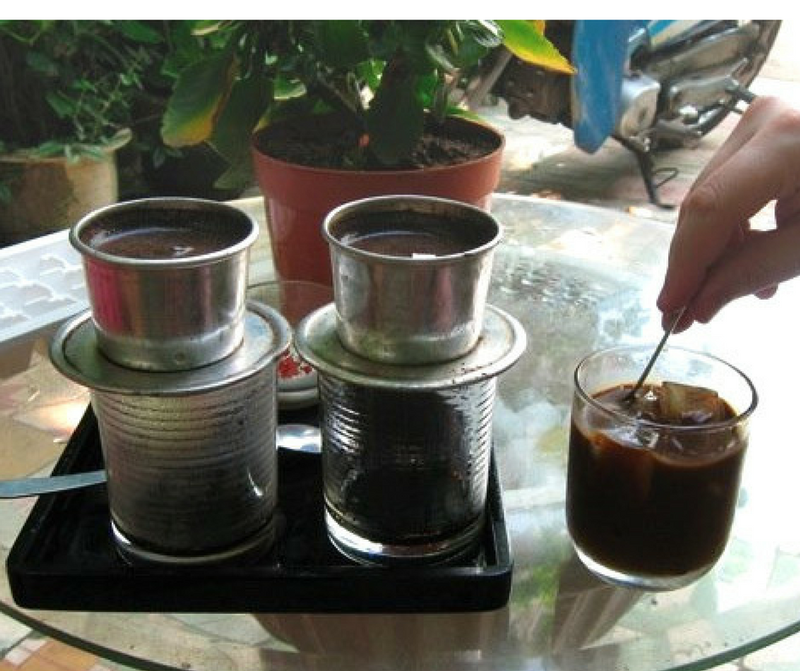 In Cambodia, elder people generally prefer drip brewed coffee that looks like the picture above, and while there’s a demand for coffee, the supplies often come from abroad. 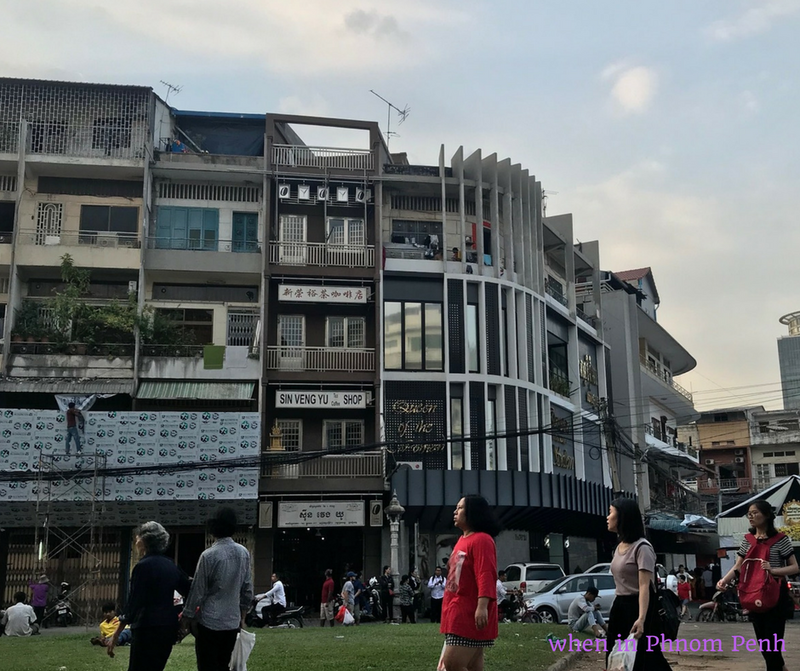 When in Phnom Penh actually asked around and found a coffee company that often comes as a recommendation by a lot of people who think it is an affordable option. This Sin Veng Yu Coffee Company is located near Phsar Thmey (market) in Phnom Penh, and it sells both coffee and tea. Currently, the shop has upgraded their shop and equipment and looks trendier and appealing to customers. The staffs there seem helpful in recommending the right coffee to your taste, and also provide sample coffee for taste at times. They have a good range of coffee beans of Arabic and Robusta from Vietnam, Laos, and Cambodian. 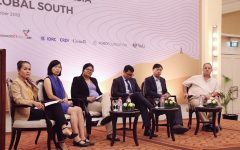 However, they’re currently highly priced as one kilo of Vietnamese, Lao and Cambodian Arabica is 16 USD per kilo, and Robusta coffee from each of these three countries goes for 12 USD per kilo. 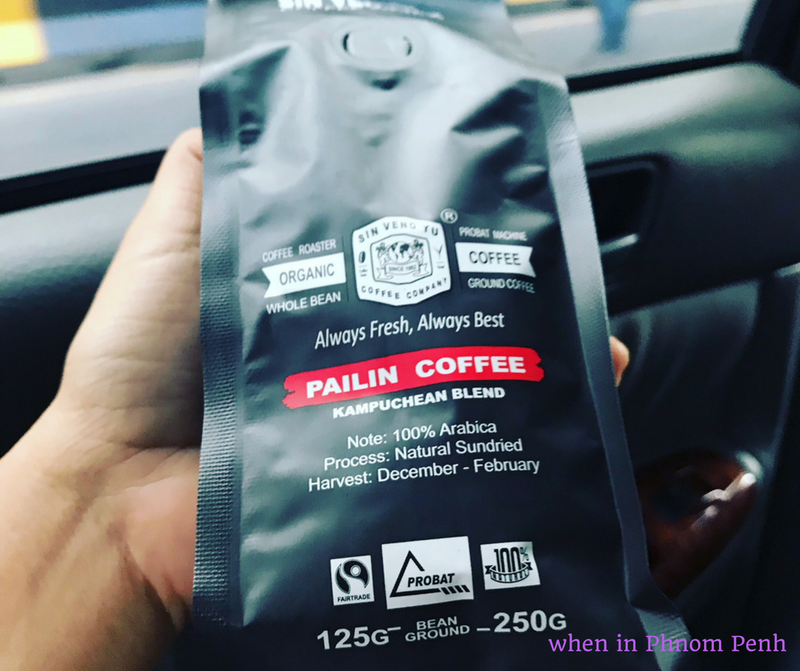 Many still find the taste enjoyable, and furthermore it might be rare to find Pailin coffee in Phnom Penh. 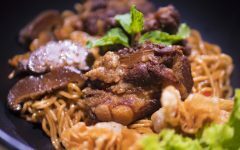 Whether it is totally organic, we’re not sure, but why not give it a try next time you’re in Phnom Penh. 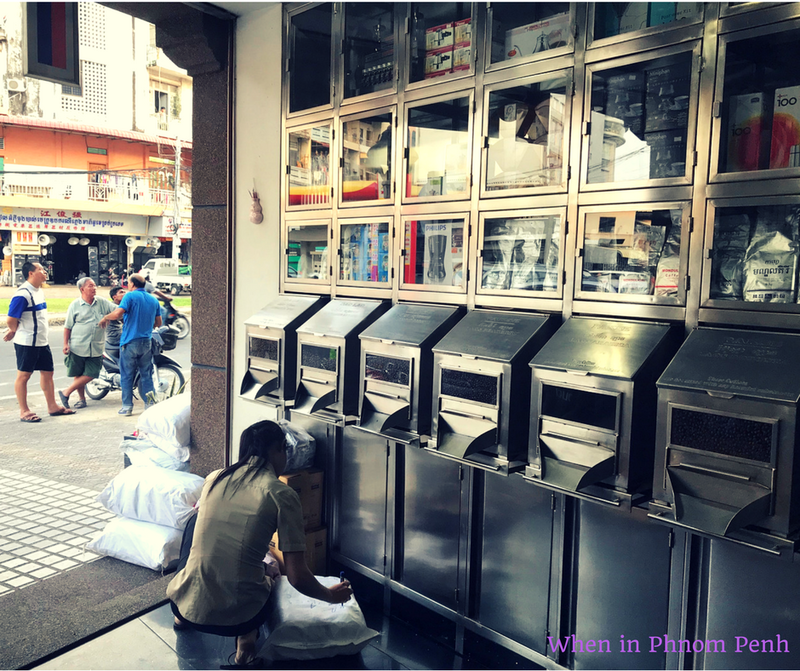 It is located at #3E0, Street 217, Psmar Thmey 2 District, Daun Penh district, Phnom Penh.